Best Shrink Wrap Size: 35 x 90. Body Sprays. Room Spray. Linen Spray. Perfume. Fill with product. Twist top onto bottle. 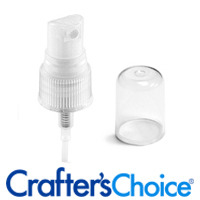 To use, remove cap from top, point nozzle and pump top to disperse product. "Fine little sample sprayers, wish they were glass." COMMENTS: These are nice for samples of my room and body sprays. My main issue is that I'm trying to decrease my use of plastic containers - I did find glass bottles with a mister top that work very well and look high end, and they are LESS expensive! So, I will not buy these again. I wish WSP had more options in glass. • They do work well. • Make a similar item available in glass! • They are too costly for what they are. COMMENTS: Great little bottle for travel or purse sprays! Very nice quality. COMMENTS: Amazing deal for these little sample sized bottles. Thank you! COMMENTS: These spray bottles are the perfect size to carry in my purse. COMMENTS: These are wonderful! 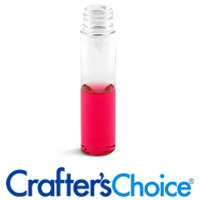 The sample size is perfect for trying out samples, it fits great in my purse. I like that it is clear so I can see how much I have in the sample. 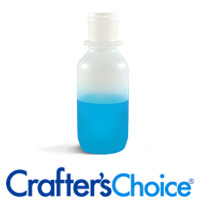 COMMENTS: These small sprayer bottles are perfect in shape and size and work wonderfully on sampler type projects! They are extremely easy to fill! Spray top works really well with body spray type products! COMMENTS: Love these lids with the little bottles... perfect for purses, samples... this way you can have a myriad of different scents! "Works with Oil Based Spray"
COMMENTS: This worked well with an olive oil & essential oil spray. No clogging! COMMENTS: I can't keep these in stock, they are the perfect sample size for all your body sprays, I use them for perfume, dry oil spray and room spray samples. It's a great way for a customer to try before committing to a larger size. I've had no problems with clogged pumps or defects ever!! "Are my customers able to recycle this set?" Staff Answer The bottle has a recycle number of 1. "What plastic is used in each component? e.g. HDPE, LDPE, PET, etc." Staff Answer The bottle is made of PET plastic. The sprayer and over cap are PP plastic. "is this sealed well when filled and will not leak if it lays on itls side for a time3?" Staff Answer These sprayer bottles have a tight seal. We tested them with water, vinegar and alcohol and laid them on their side for 3 days. There was no leakage. "It's priced by the set, but doesn't specify how many come in this "set"???" Staff Answer A set would be one bottle with sprayer and clear cap. Other bottles we sell do not include the caps so that is why we state it is sold as a "set".